81.56 Wooded Acres with Gated Entrance & Walking Trails! A Rare Find! Well Maintained Cozy, Two Bedroom, Bath Mobile Home tucked in off the main road for Privacy. Shingle Pitched Roof, Covered Front Porch, Fire pit area. Appliances, Central Air. 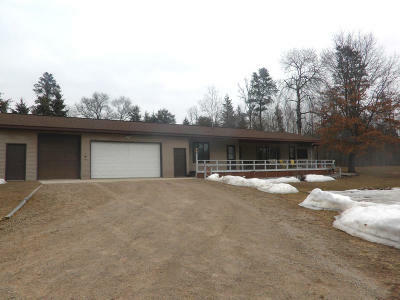 Breezeway intoAttached Garage with Two Overheads, Two Service Entrances, work bench. Drilled Well, Conventional Septic System. Limestone Driveway. Additional Barn on Back Acreage. Property is in 4 parcels. Priced at Market Value for Fast Sale!